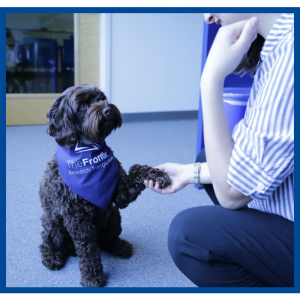 Blue is an adorable two-year-old Miniature Labradoodle who is ready for her close up at all times. When she’s not posing for the camera, Blue loves to gather all her toys into one large pile and lay on them. How cute! If you don’t see Blue downstairs, she’s probably on the third floor with her mom Julia of Inspiring Capital. This gentle, soon-to-be four year old is a Boxer Pitbull mix. You can find her on the first floor with her owner Tristan of Triangle Ultimate. Tristan rescued Sophie from Orange County Animal Shelter after she gave him a sweet, heart-tugging look (probably similar to the one in this photo). 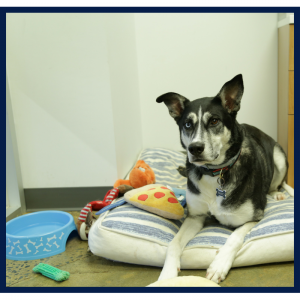 In her spare time, Sophie enjoys playing with kids, other dogs, and chasing after frisbees. 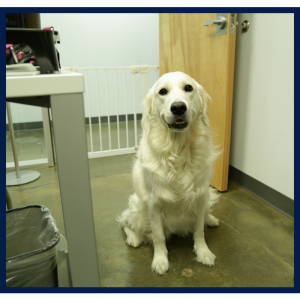 Reynolds is a sweet, well-mannered English Cream Golden Retriever who will be turning two later this year. Although fairly young, Reynolds has mastered the hard discipline of self-control. 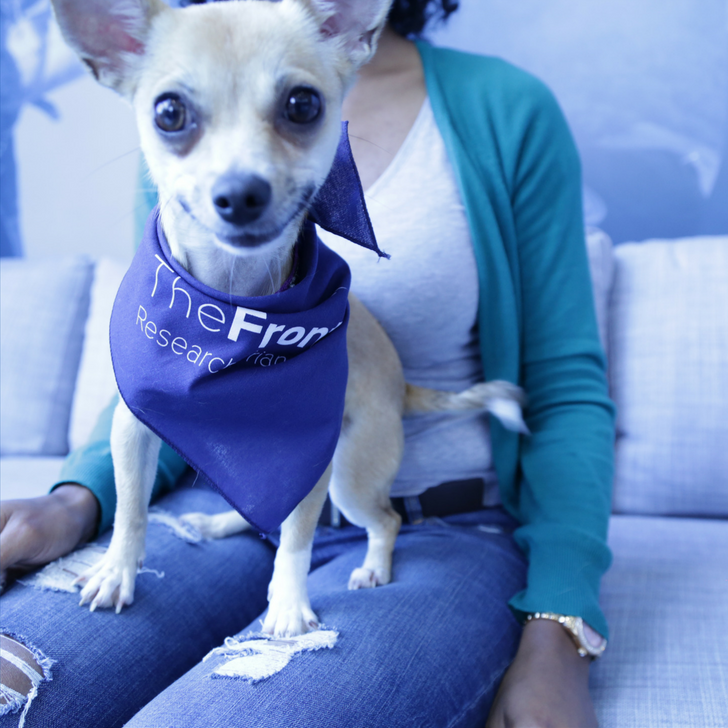 When working with mom Amanda Frystock, Director of Programs at RTF, she is calm and often complimented on her temperament. It doesn’t take much for her to get revved up though—one sight of her leash and she’s pulling mom all across The Frontier campus to say hi to her dog and human friends! Meet the most energetic Chihuahua you’ll ever come across, Biscuit! Although only a year old, Biscuit runs the show when her friends come to visit. 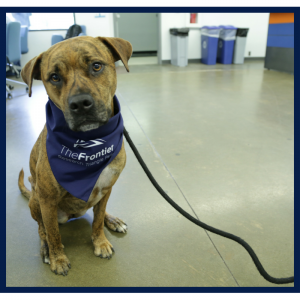 She’s referred to as “the sweetest dog ever” by her owner Skipper, and has stolen the hearts of Frontier staff. Pomeranian Chihuahua Bear has come a long way in just 6 short years. His owners, Amanda and Casey Barnett, found, fostered, and adopted him in Steamboat Springs, Colorado. 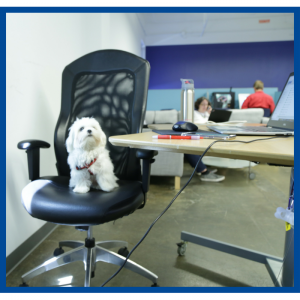 Bear now holds a C-Level position at Little Dog Consulting as the Chief Morale Officer—talk about a success story! If you’re looking for him, he can usually be found at 1 Million Cups every Wednesday, or catch him on the ‘gram @pomlittlebear. If one pup knows the importance of starting the grind at a young age, it’s five-month-old Maltese Scooter. Although clearly a diligent worker, Scooter is super social and loves everything. 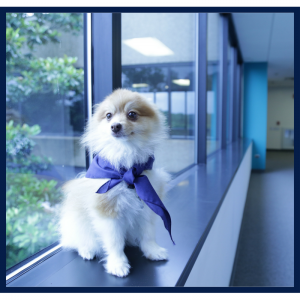 Come say hello to him and his owner Suruchi on the first floor of Building 800! 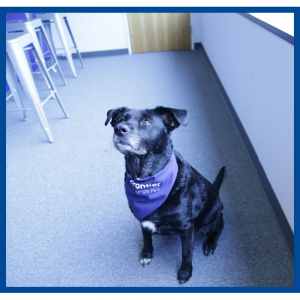 Four-year-old Mac is a Husky-Shepherd mutt mix who can usually be found lounging in her first floor office next to her mom, Caitlin Moss, Frontier Events Coordinator. If you ever stop to meet her, the first thing you’ll notice besides her long legs is her eye color—one is icy blue and one is brown. Fun fact: Mac is one half of the duo “Mac & Cheese;” Cheese is her orange tabby cat companion. As an extra amenity for all the dogs of The Frontier (and their parents! ), we have built a fenced-in dog park on campus. Join us on June 22 (which is also national Bring Your Dog to Work Day) for the grand opening event. 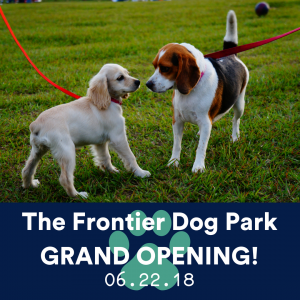 It’s a celebration for everyone: there will be a Food Truck Rodeo for humans and a rodeo for pups as well! Prepare yourself for unlimited cuteness and delicious eats. 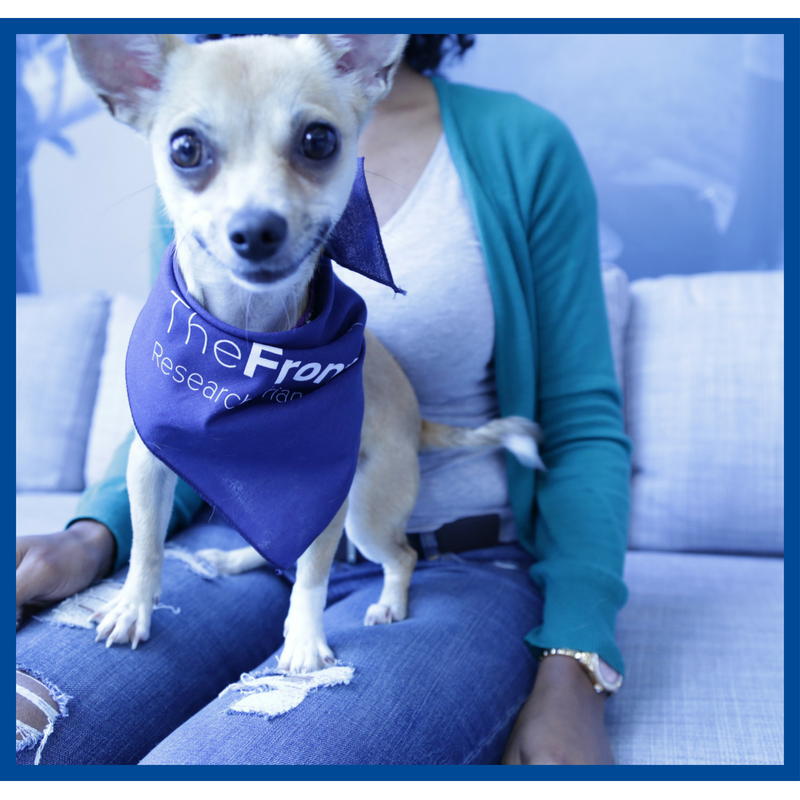 Bring a (furry) friend and we’ll see you there!